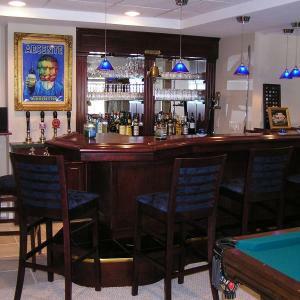 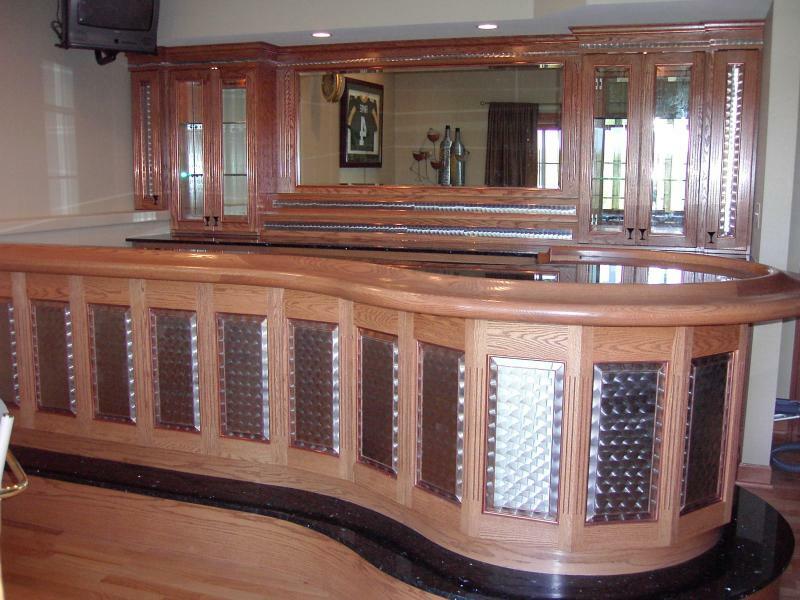 You can spot our custom designed, uniquely crafted bars in homes and estates from Beverly Hills, to Milwaukee, from Boston to Kaiserslautern, Germany. 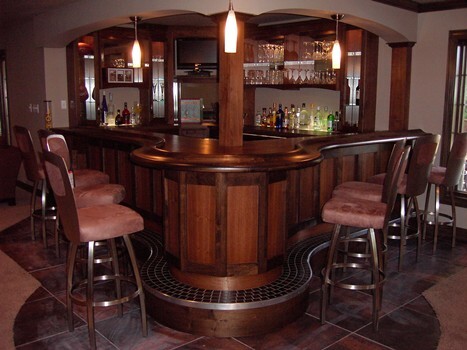 We build in any shape desired, from traditional to art deco to ultra-modern contours. 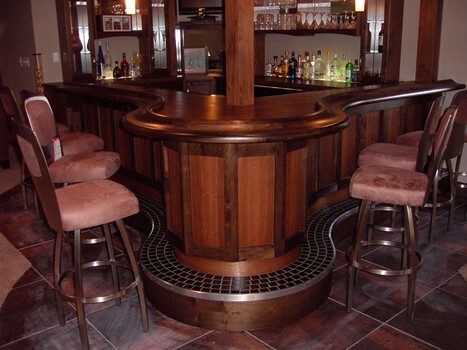 Bars are available in a wide variety of materials and textures. 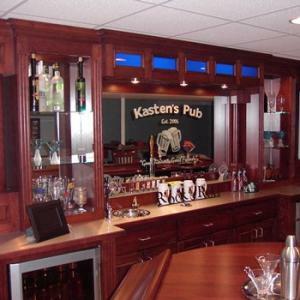 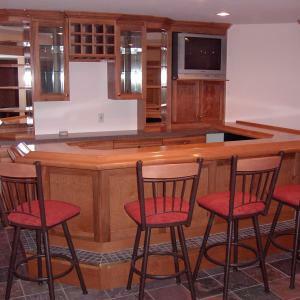 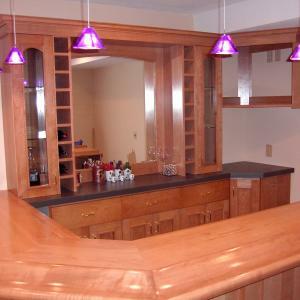 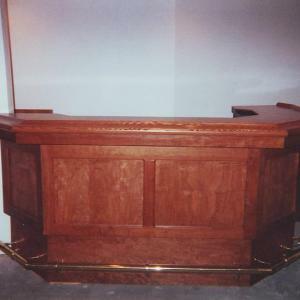 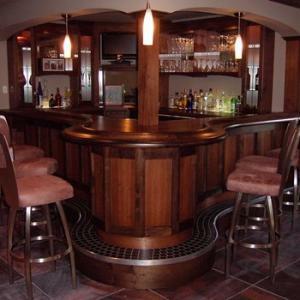 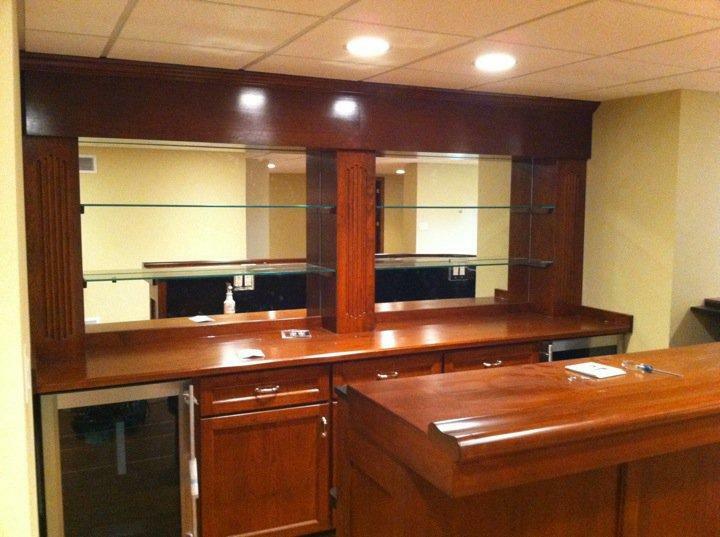 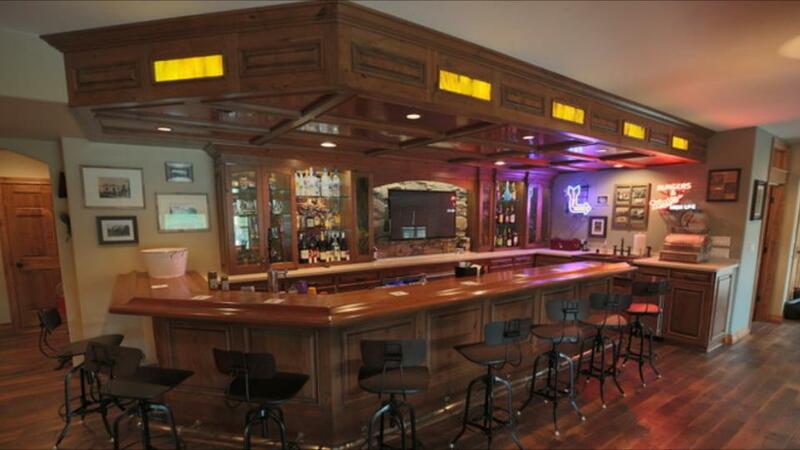 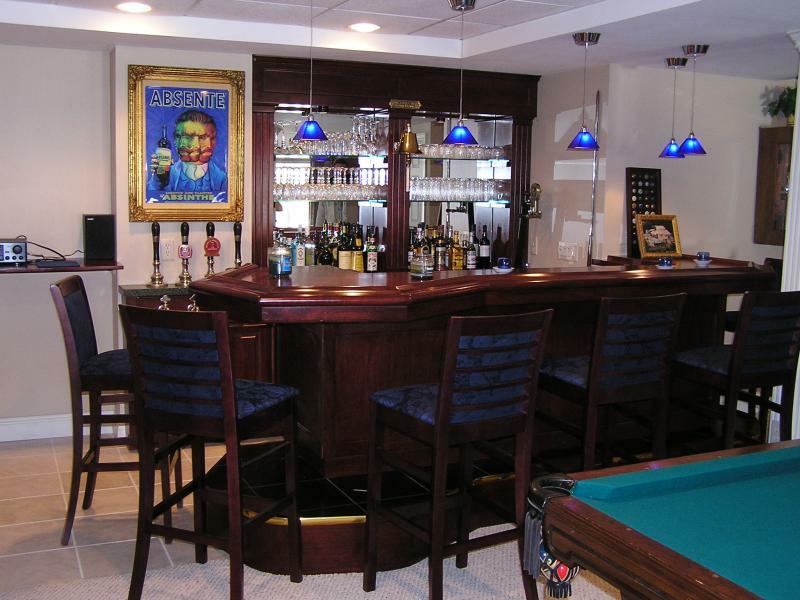 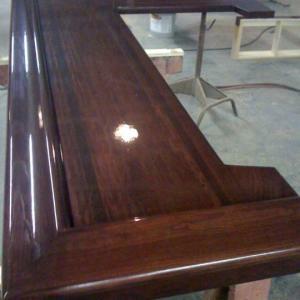 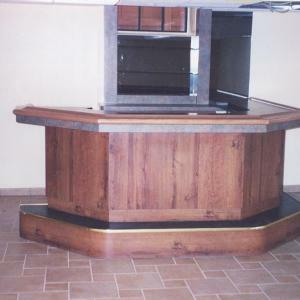 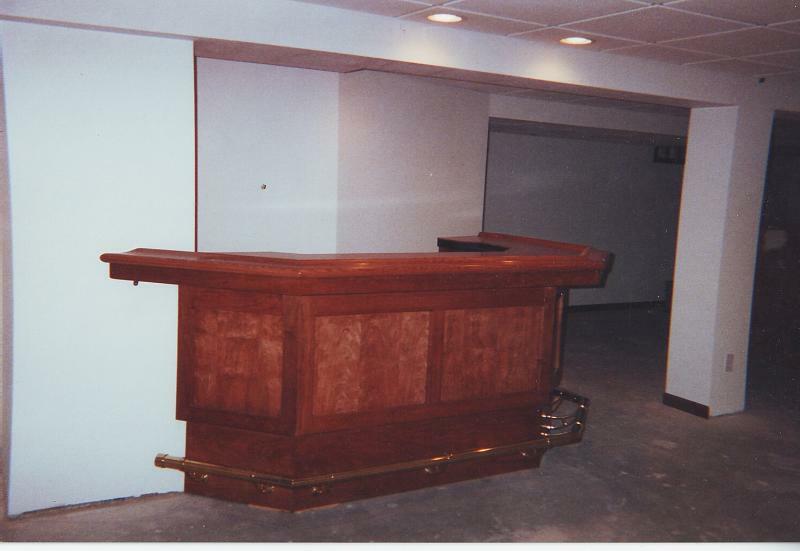 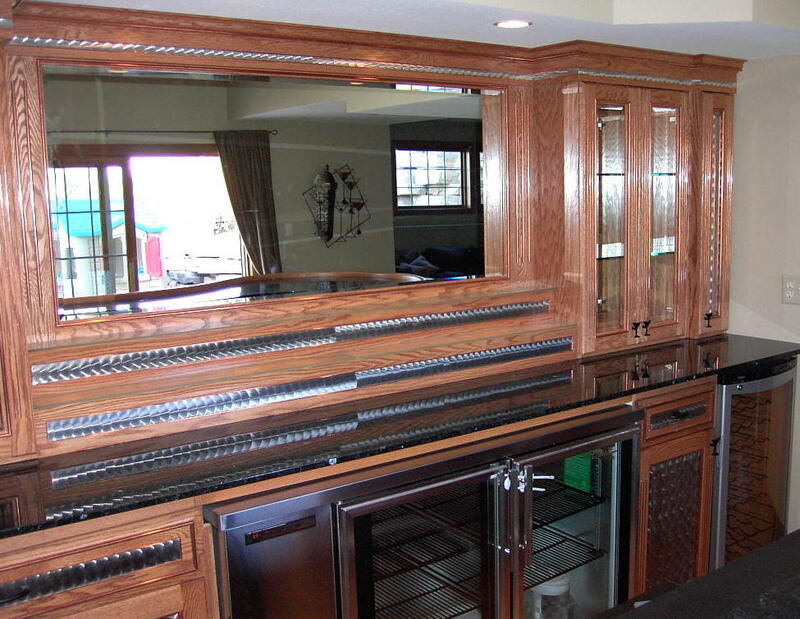 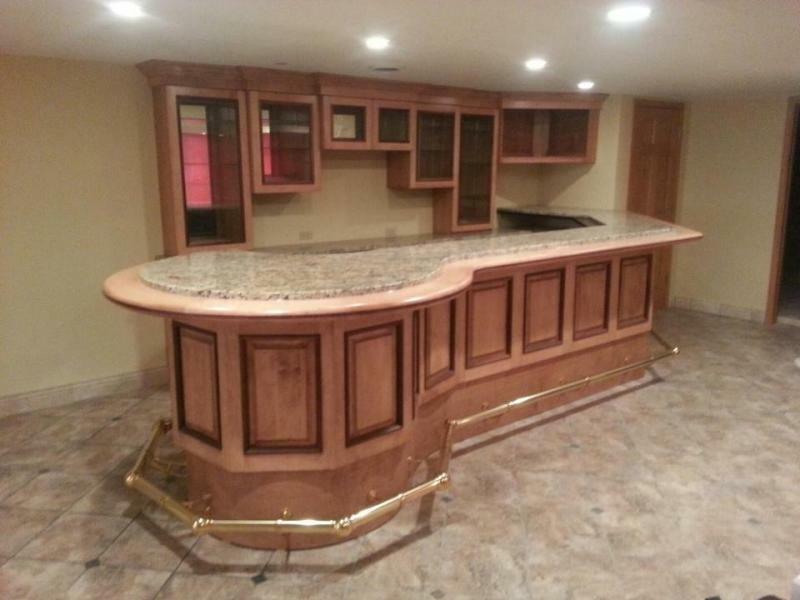 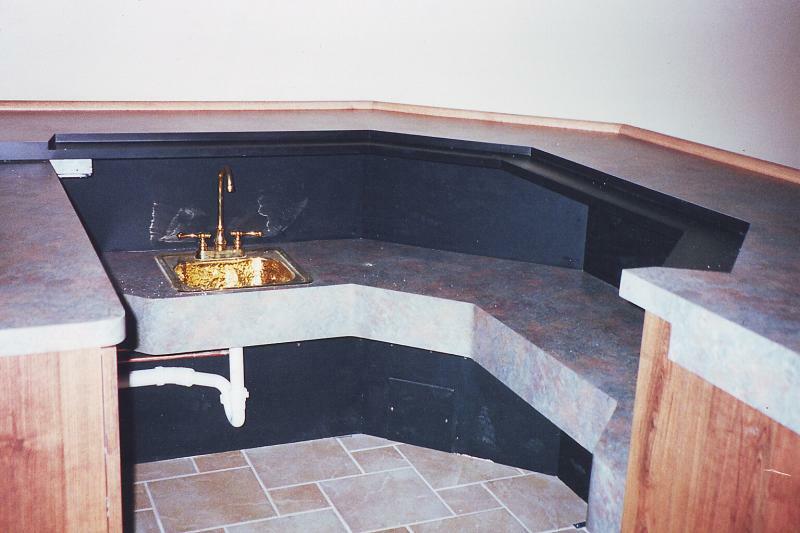 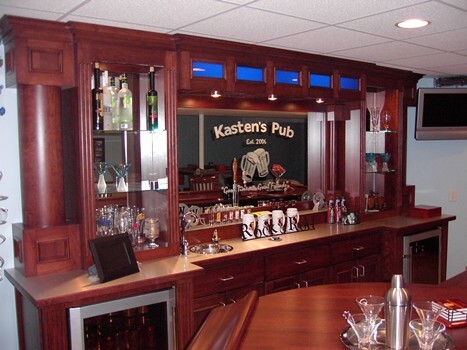 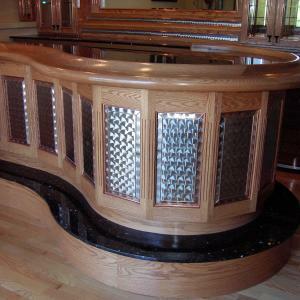 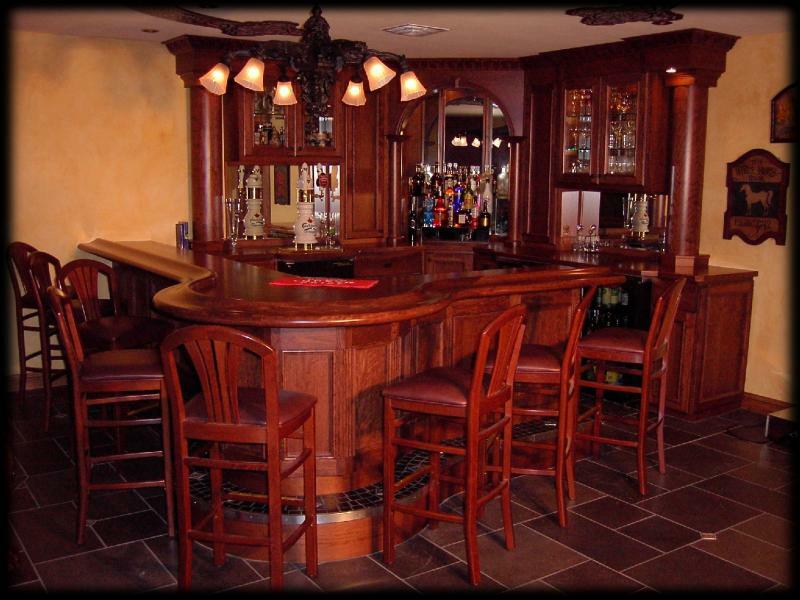 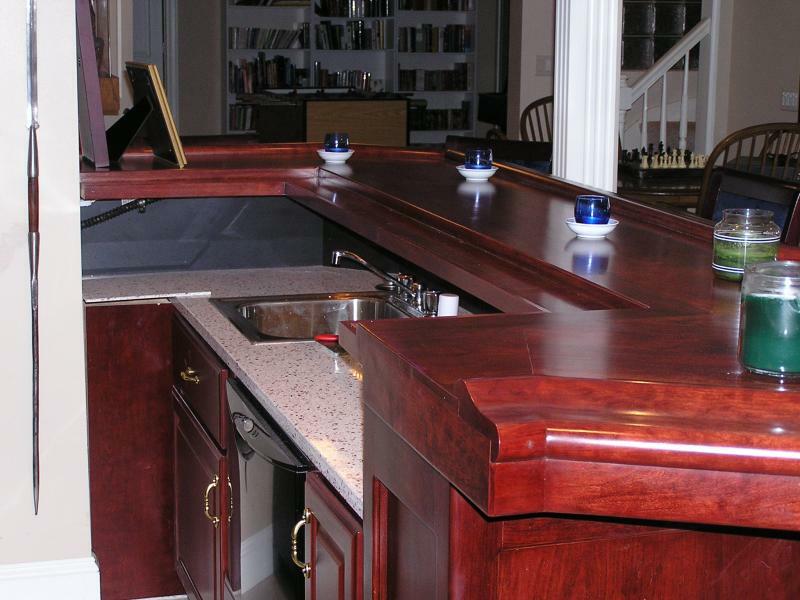 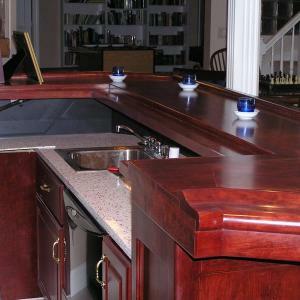 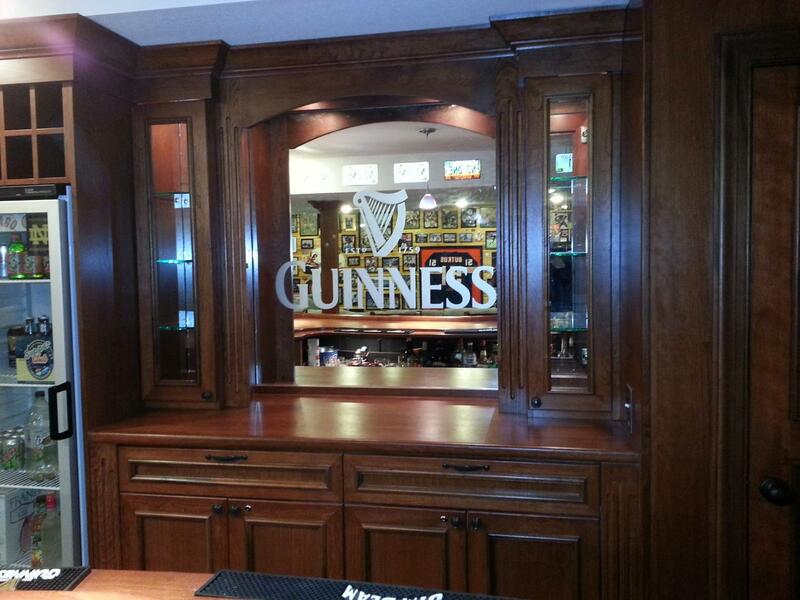 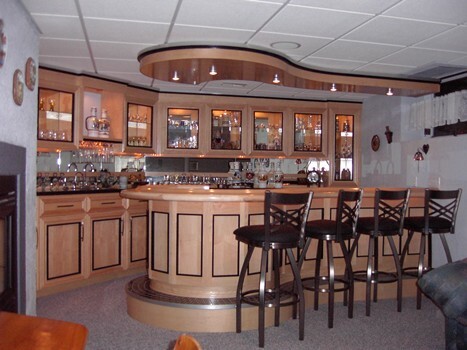 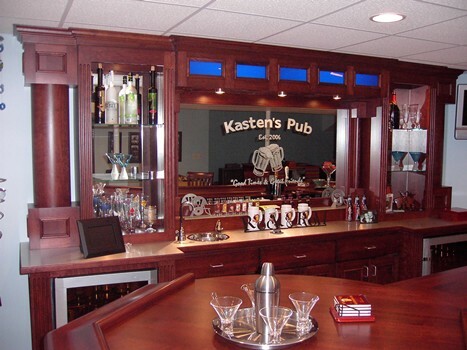 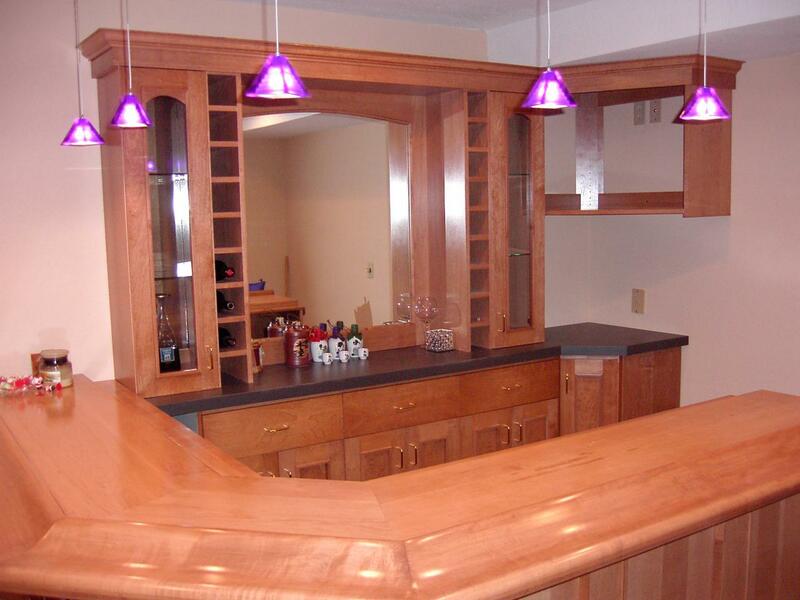 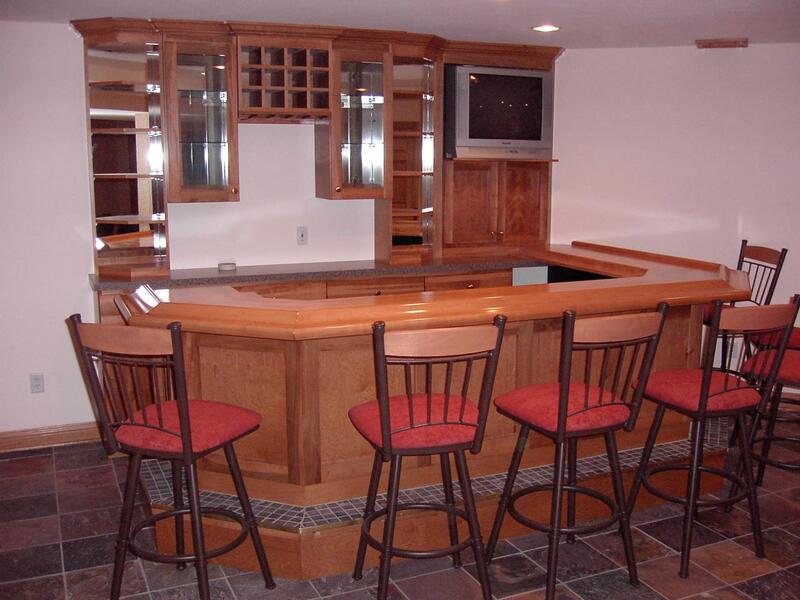 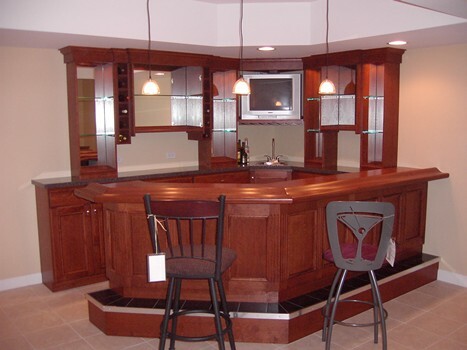 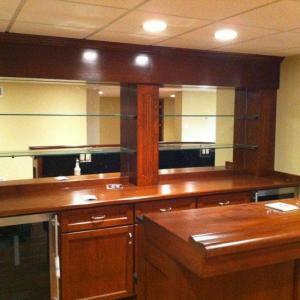 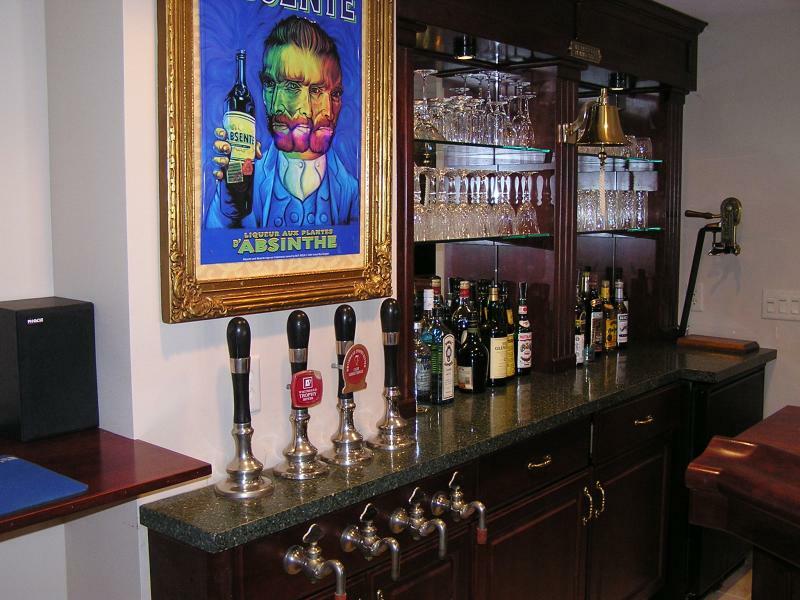 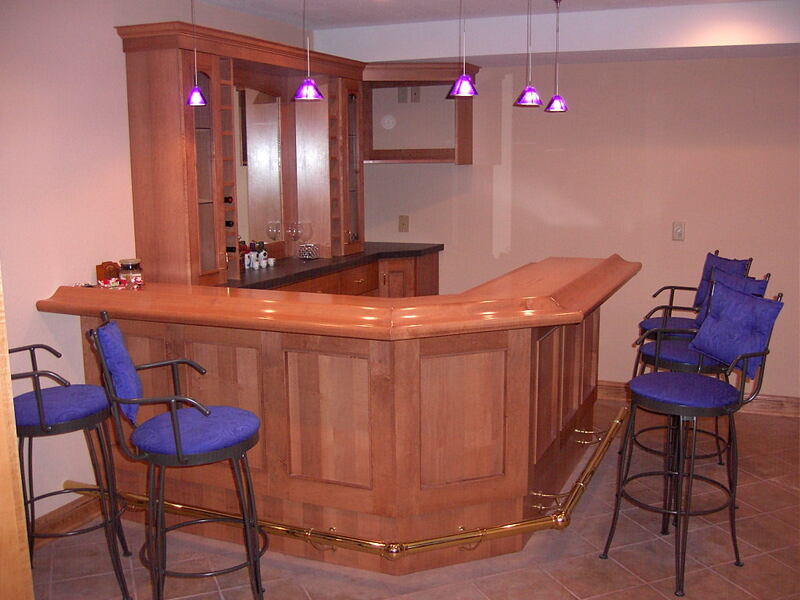 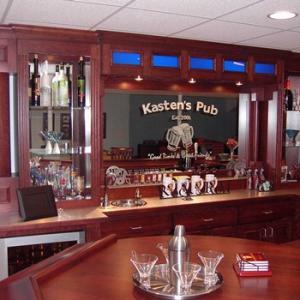 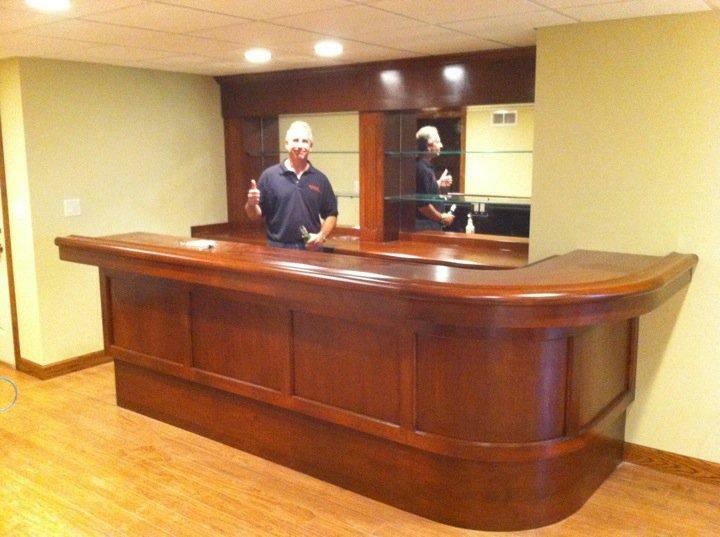 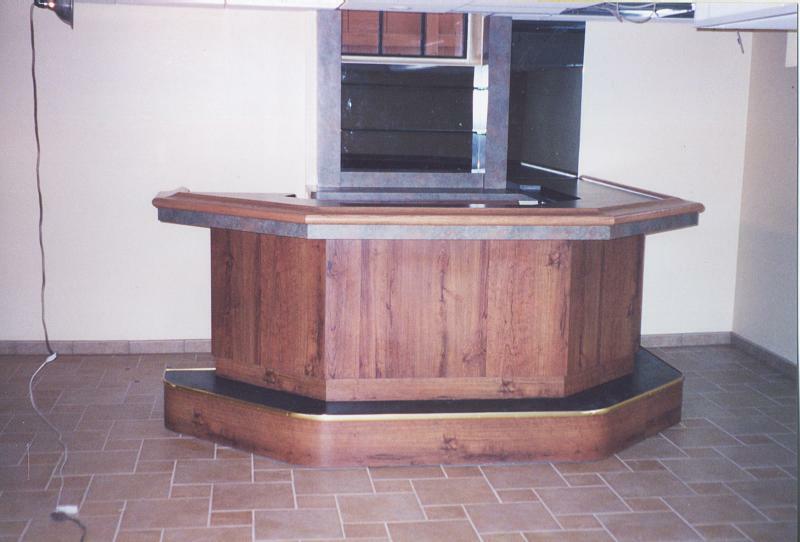 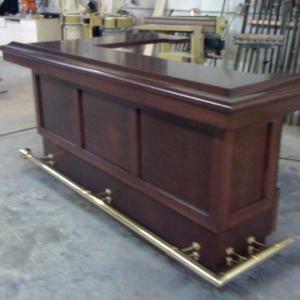 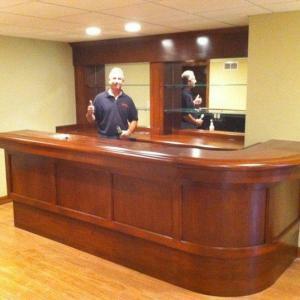 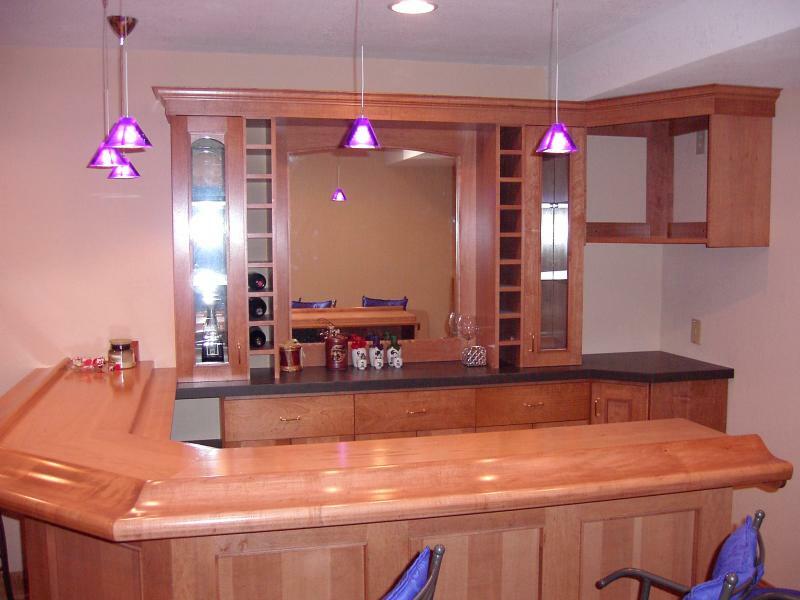 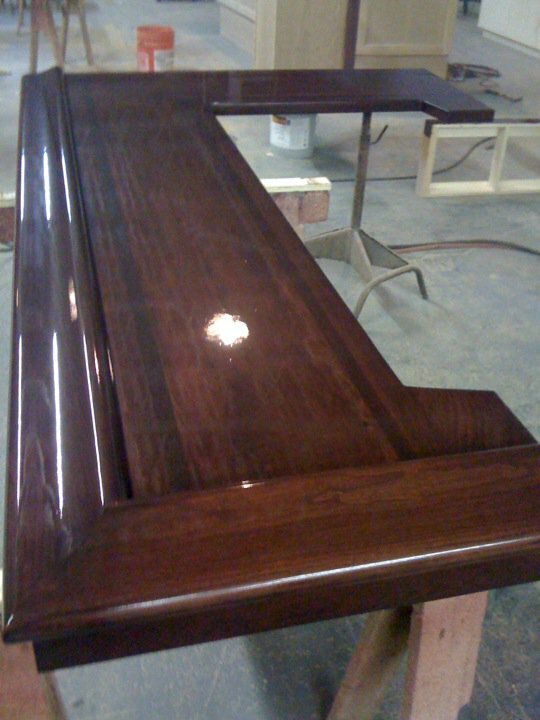 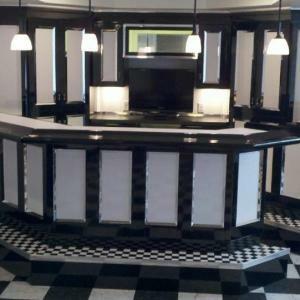 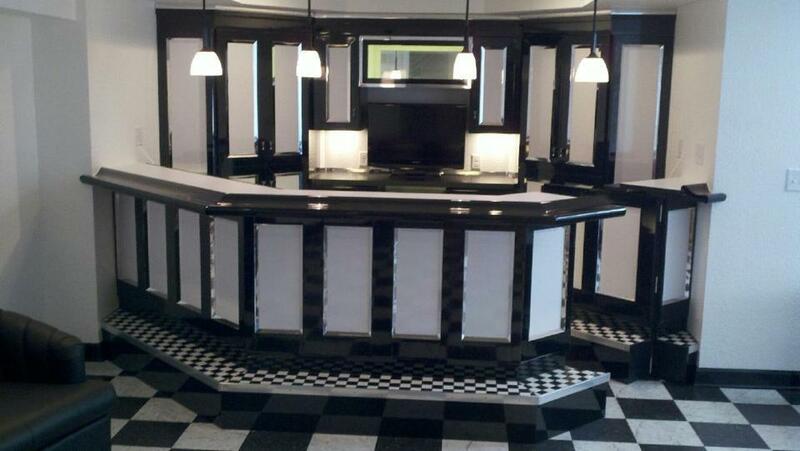 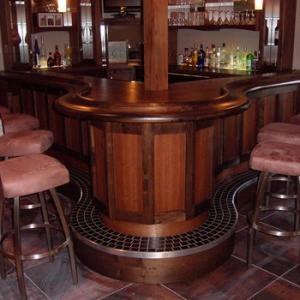 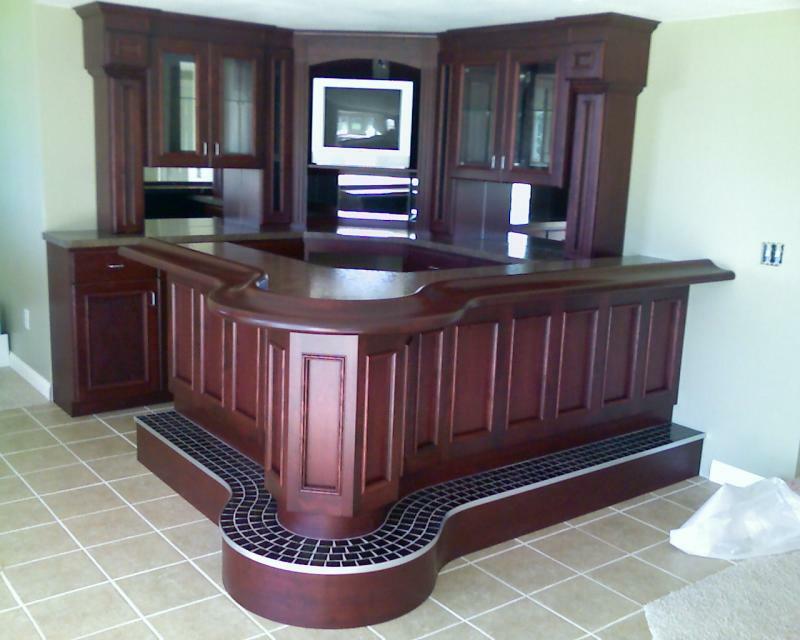 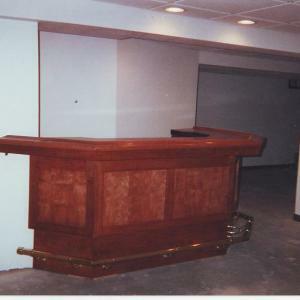 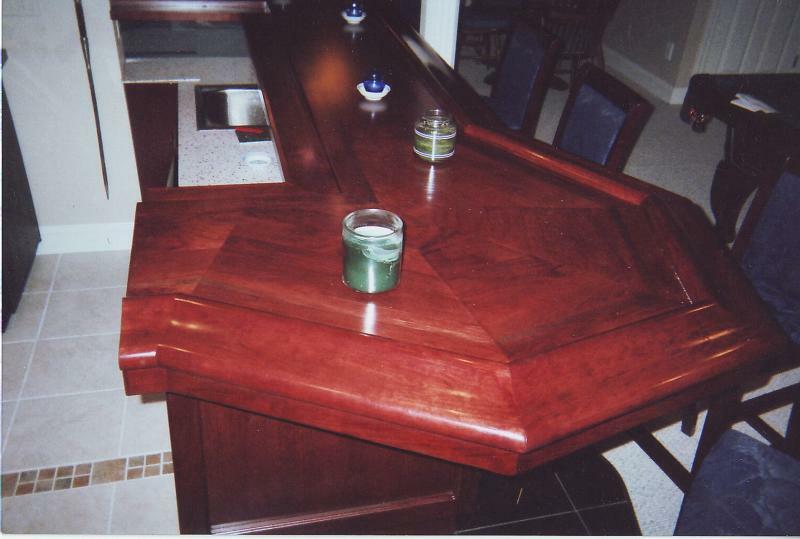 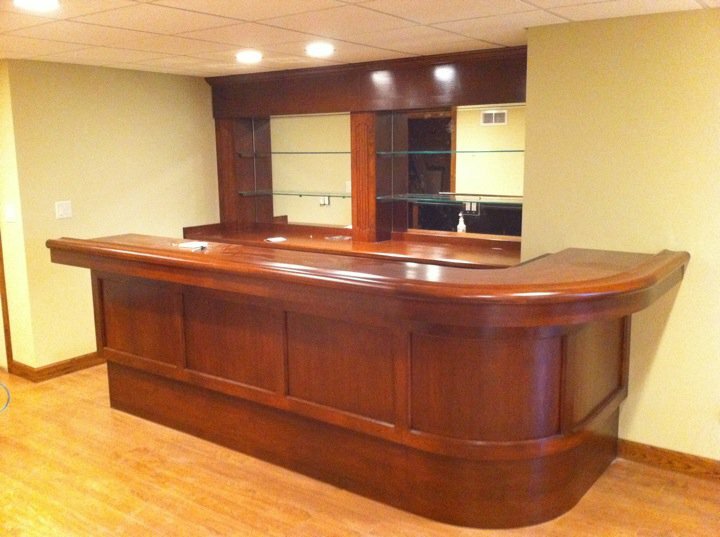 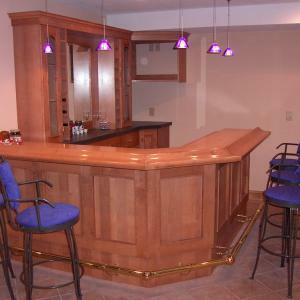 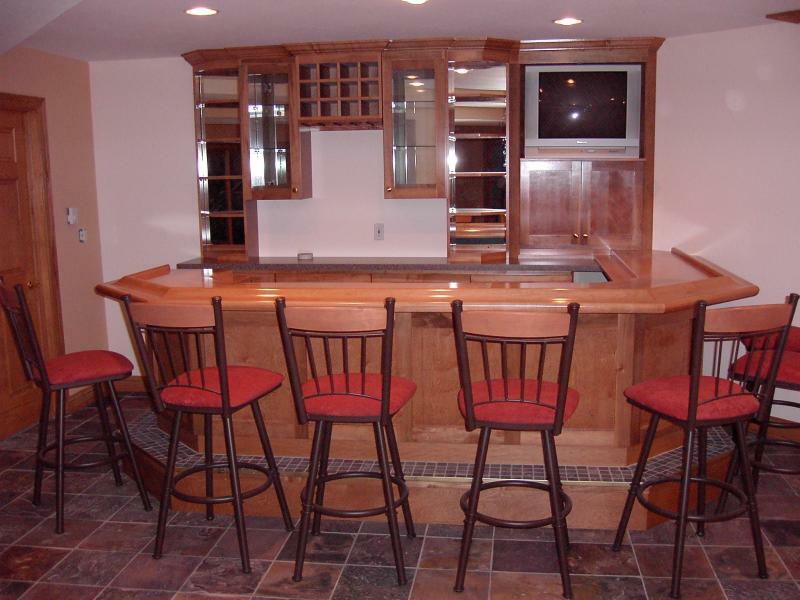 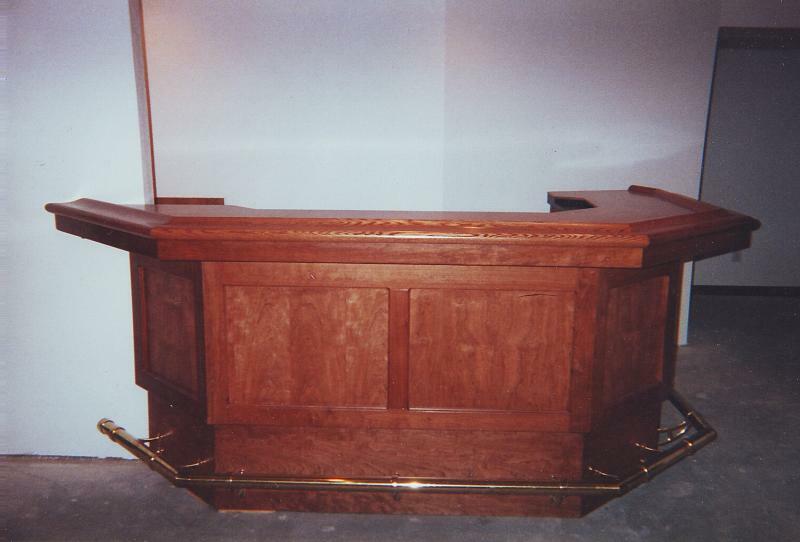 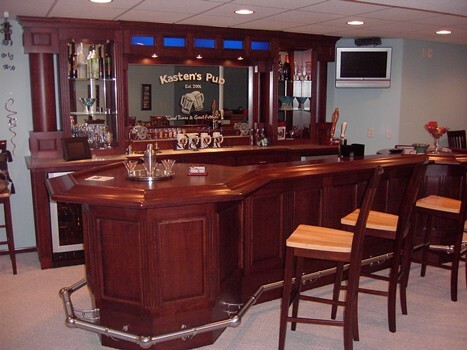 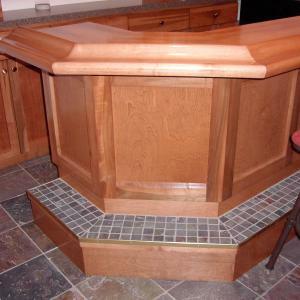 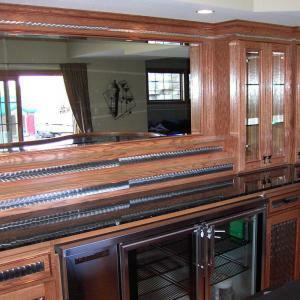 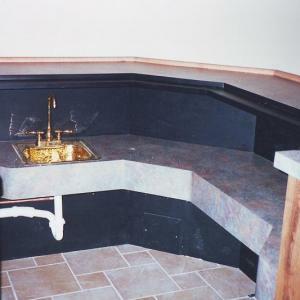 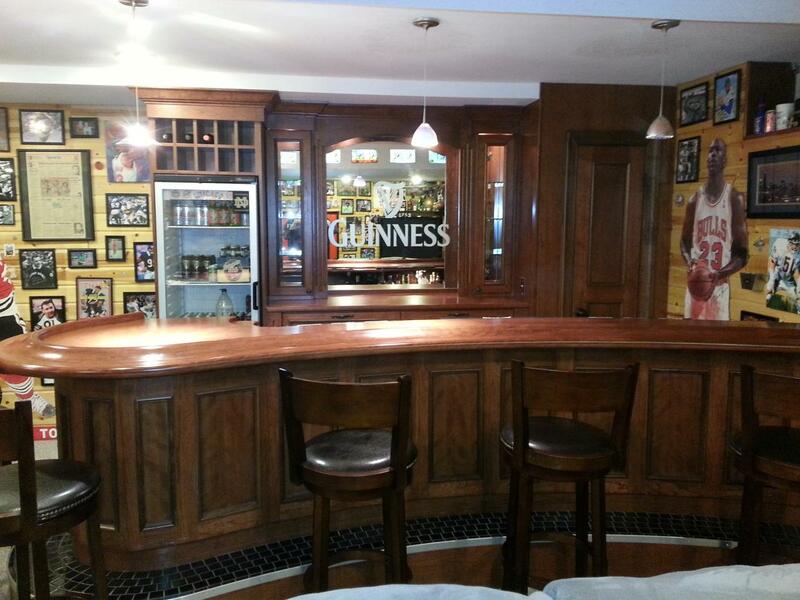 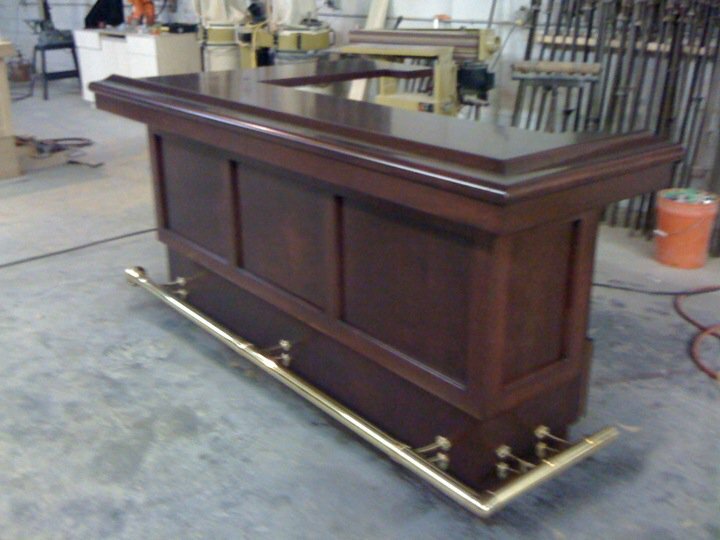 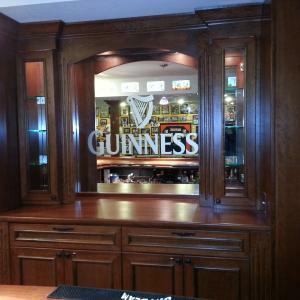 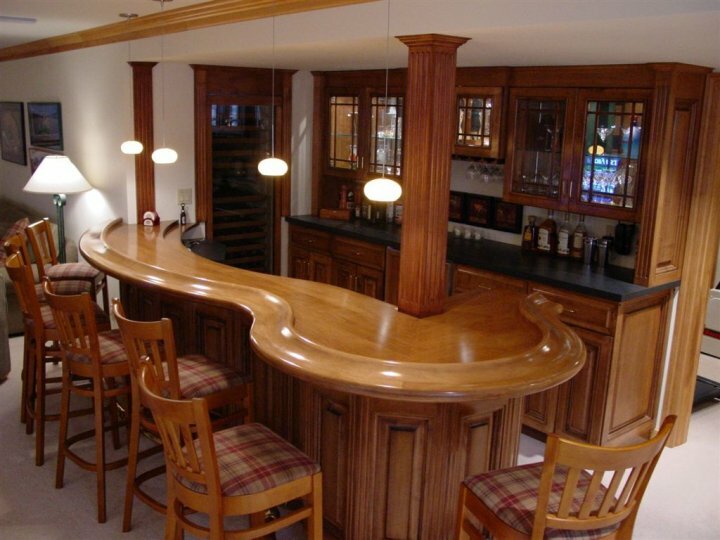 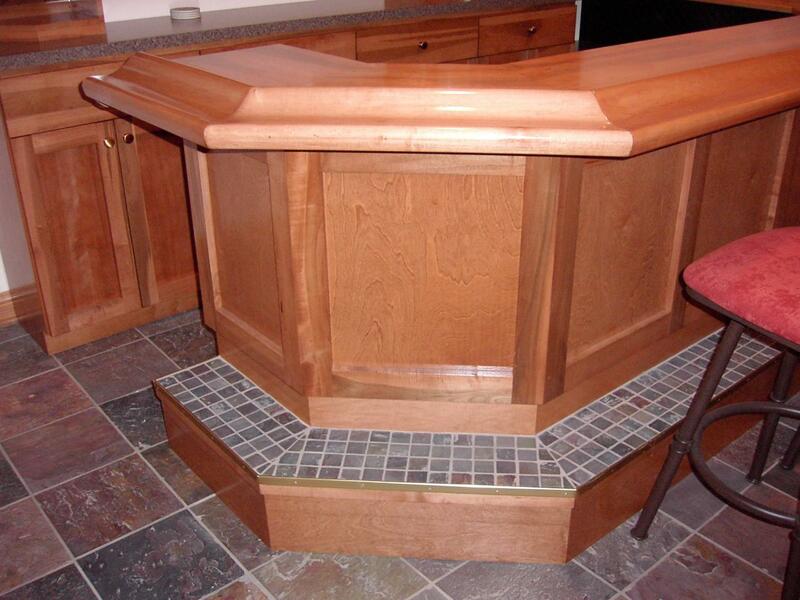 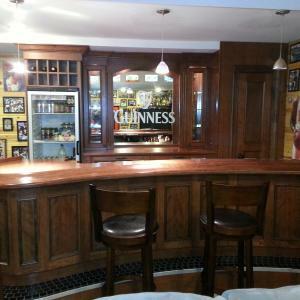 Your bar can be designed in any species of wood and, if needed, can be custom matched to your existing woodwork. 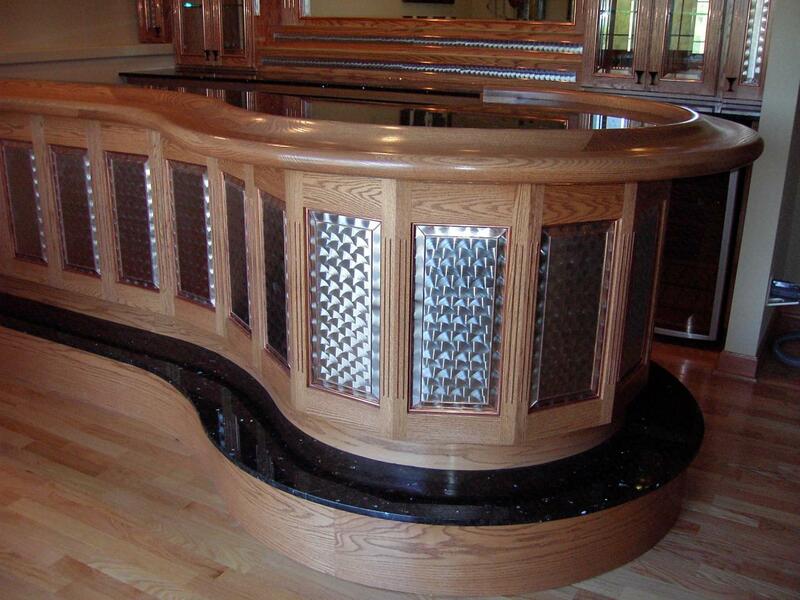 Every bar built by Milwaukee Woodwork Inc. is cut out using fully automated machinery to help us provide the world's finest bar's available. 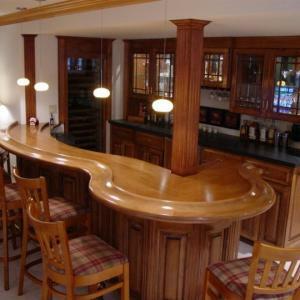 1/4 Round Bar - A unique design to fit into room corners.